Even the prestigious doctors are unable to provide a prominent permanent solution to acne scars because they lack in proper diagnosis of kind of acne, causes & specific skin conditions. We at Derma World have breakthrough discovery for the removal of acne scars by best dermatologist that help you not only get rid of acne scars from anywhere on body, but combat the post effects of acne, bearing in mind the condition of your problem. We are offering technological innovations in our treatments designed to redress your skin safely, restore youth, save time & save money. Reach out to your Best Dermatologist Dr. Rohit Batra who has outright success in Acne Scar Treatment, Pimple Treatment, Youth Restoration, laser resurfacing, Acne Scar Removal and cosmetic treatments. Book a Free Consultation for best acne scar treatment in West Delhi at our centers in Sir Ganga Ram, Rajouri Garden, New Rajender Nager & Karol Bagh in West Delhi. Acne scars are a very common skin disease and nearly everyone more or less has this problem. When the skin pours gets swelled with excessive oil, bacteria, and dead skin cells, inflamed blemishes occur on the skin which in medical term is called acne scars. The healing of this scar depends on how deep the breaking is. If it is a shallow scar, then it gets healed easily. But in the case of the deep break, the bacteria of the infected area also damage the surrounding tissue, making the scar even worse. Though skin naturally cures the scar by generating collagen fibers, the new skin will not be as smooth and flawless as you had. Acne scars are completely treatable and there are many medical methods that help you fade away those blemishes. Dermatologists often prescribe laser treatments, minor skin surgeries, and chemical pills to remove the scars. This problem is more noticeable on the skin of the aged people because they lose the collagen forming power. Acne happens when the hair follicles get blocked by excessive oil and dead skin cells. Blemishes appear on the skin with the different degree of severity. Here are certain signs and symptoms of acne scars given below. The severely inflamed acne lesions are more prone to cause scars on the skin. The development of the scar varies. Some people get affected by the hypertrophic scars which occur when body generates excessive collagen to heal the wounds of acne lesion. Some also have atrophic scars identified as the shallow pitted scar due to a loss of skin tissue. Both problems have different treatments to get rid of it. Consult the dermatologist before the problem gets worsened. Acne scars are mainly of four types and they depend on the appearance of the blemishes and their developments. Before starting the treatment process, identifying the right type is essential to apply the most effective cure for this problem. Ice pick scar is very deep in nature. The name says all about the appearance of the skin problem. Deep holes appear on the skin that seems as if the skin gets punctured with the ice pick. This happens due to the production of the less collagen compared to the necessity. Ice pick scars are caused when infected sebaceous gland open on the skin. Such type of the scar is the most difficult one to heal. Box scars, like an ice pick, are depressed in nature. The appearance of the scar is boxier and broader. Too little collagen formation is also the cause of this scar. It has defined ages and sometimes resembles chicken pox scar. Rolling scars have rounded smooth edges and they are also depressed scar. The healing of the scar is different. Often they have a rough texture or wavy appearance. Hypertrophic scars appear when the body stops producing collagen at the time of filling the acne wounds. They are a common type of acne scar that people have. It heals over the time and the bumpiness of the scar gets smoothen as the time goes. Though they do not persist for long, it leaves a mark of the wound on the skin. Though acne is a very common skin problem that everyone more or less has, the acne scars can be caused severely for some people. Below are a few examples where the possibility of causing acne scar is higher. Those who have been caught with the inflammatory acne, they are more prone to have acne scars. The swollen or reddish acne goes deep down the skin, causing a severe damage to it. In the delay of treating inflammatory acne can cause the scar. The scarring will be higher when one keeps the acne in an untreated condition. When you squeeze or pick the acne, then you have a greater tendency to have the acne scar. These are the few conditions that increase the possibility of acne scars. But it is not possible to say confidently who will develop the problem and who will not. You need undergo a treatment procedure if you really want to get rid of this common skin disease. When acne appears on the skin, it not only damages the skin but also affects the tissue beneath it. When your body heals acne, it also tries to repair the damages. As we all know the science, collagen fiber repairs the damaged skin. The scar will cause when your body has an imbalance collagen production. Too much or too little collagen generation causes the scar on the acne area. Depending upon the collagen production, the scars are divided into two types – depressed acne scars and raised acne scars. When the body generates too little collagen as compared to the required amount needed for healing the scar, pits appear on the skin. Due to the excessive collagen production during the healing of the wounds, a raised acne scar appears. It gives you the feeling of uneven skin issue or bumpiness on the skin. Diagnosis of the treatment starts with a consultation. Dermatologists will check your skin thoroughly and try to understand the type of the scar you have. Acne scarring will not look good on your skin and often people want to get rid of it. Consult your doctor to know the best way that is very effective in treating your problem. Generally, dermatologists consider two important factors before starting the treatment – the type of the scar and the area it appears. Since there are two main categories of the acne scar – depressed and raised, different treatment process will be prescribed by doctors. The name of surgeries always gives us fear, but this is the minor one and you should not be worried about it. The only goal of the surgery is to make the scar less noticeable. It only targets the severe ones because the rest will fade away with time. During the surgery, patients stay awake but numb so that they do not feel the pain. This kind of treatment involves in removing the skin layer, thus allowing the skin to produce new skin cells. 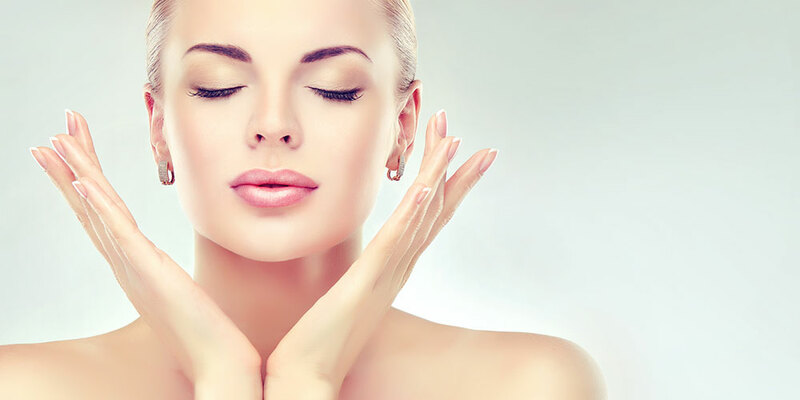 The methods that are applied to the skin treatment are – laser skin therapy, chemical peeling, dermabrasion, microdermabrasion. Skin fillers are the best options for depressed acne scars. The fillers of the treatment used by doctors are collagen, patient’s own body fat, and more. It can be temporary or permanent. Skin tightening is considered to be the newest therapy. Dermatologists use the radiofrequency to make your skin tight. This treatment improves collagen production of the body. A handheld needle-studded roller is moved across the affected area of the skin. It boosts the collagen production, thus repairing the skin so that it gets done easily. For raised acne scar, the prescribed treatments are mentioned below. As the name suggests, the medicines will directly be injected into the skin to improve the scar condition. How often you need this treatment is determined by the degree of the scar severity. The medicines can be varied, but the common names are corticosteroid and fluorouracil (5-FU). Acne scar surgery: there are two types of surgeries for treating the acne scar – surgery by injection and surgery by radiation. Cryosurgery: It freezes the affected tissuethat causes to fall off the tissue. Laser treatment is considered to be the best treatment for having a permanent solution to your acne scarring problem. Laser and intense pulsed light penetrate effectively to the top layer of the skin, causing the natural healing power of the body to begin. It produces new collagen and new skin to remove the problem. It is the fastest process among all to remove the blemishes and the scarring. The type of the treatment depends upon the scars. There are three very types that should be mentioned when it comes to the laser therapy for the acne scarring. The names are mentioned below. As the name suggests, it treats only the fraction of the affected area. With the help of the laser light, it takes a small portion and improves the collagen producing ability of the skin. The therapy treats your skin faster. Carbon Dioxide laser is comparably new treatment procedure and patients need to qualify first for the treatment. There are certain areas that lead dermatologists to prescribe this therapy for healing the acne scaring issue. An extremely high-energy laser is emitted in a short burst from the carbon dioxide laser. The curing process will begin when the laser light starts vaporizing scarred tissue. ND YAG treatment brings significant, quantitative improvements in the topography of the skin. The nonablative 1064-nm Q-switched Nd:YAG laser has been used for treating the skin problem. This is also an effective treatment procedure where radiofrequency is applied through the gold plated sterile needle. The treatment relies on the micro needling using the heat energy that breaks fibrous band causing the production of the collagen. The sterile derma roller has been rolled over the affected skin that starts the healing process by collagen formation. Platelet rich plasma injection with SELPHYL is used in this treatment. The substance is enriched with the growth factor and it is made of your own blood. Doctors inject the content on the scarred area to improve the healing process. This is used to heal the acne scar easily. It unclogs pores to clear acne problem. Dermatologists clear acne with the help of glycolic peels and medical acne extractions. Acne surgeries are often recommended to fade away the scarring issue. It treats the skin complication effectively and offers you the satisfied result. It is done in two ways – subcision and TCA Cross. When the acne scars cause deep depression on the skin, such treatment proves to be very helpful. In this treatment, the affected skin is separated from the scar tissue which improves the regeneration of the skin. TCA Cross is applied when skin is required to chemically reconstruct. The repairing of the skin is done by Trichloroacetic Acid (TCA). It is used specifically for the Atrophic Acne scar. Acne scars are generally stubborn in nature and once they appear on the skin, it is really hard to remove. Besides all the above surgical and medical therapies, you need to protect your skin carefully. Follow the tips to keep your skin safe and unaffected. Try to be in a shade always. An exposure to the sun will darken the scar and make it more noticeable. Don’t scrub or over wash the skin as it irritates the area more and makes the condition worse. Don’t squeeze or pick the scar as the bacteria can spill through this more. You must treat your acne scar because the untreated skin will give you more pain and make your skin prone to acne.